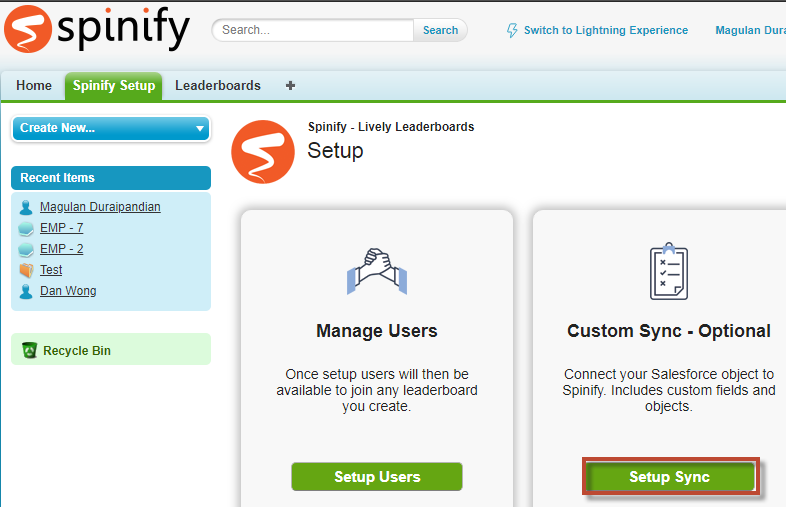 Spinify is used to solve adoption and engagement issues by using its Lively Leaderboards. To connect Salesforce from Spinify, check the below steps. 1. 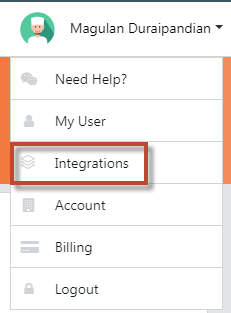 Go to Integrations in Spinify. 2. 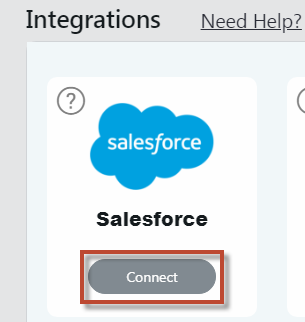 Click Salesforce Connect button. 3. Follow the link and install the AppExchange product. 4. 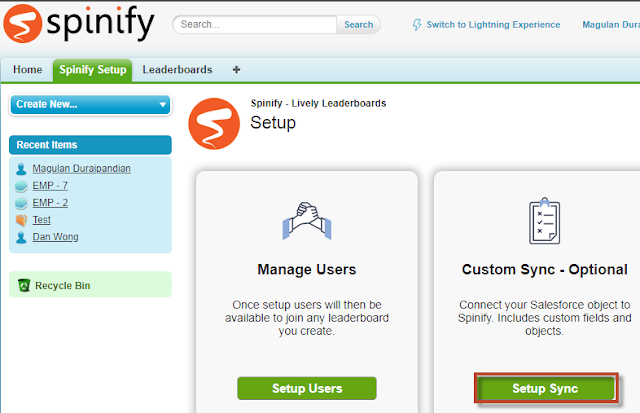 Go to Spinify app in Salesforce after the installation and follow the steps to Sign In.